What is ‘The Arts’ ? 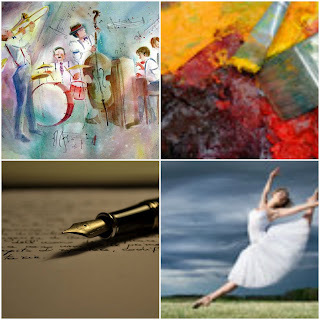 The Arts is a group of disciplines, comprising many genres, endeavors or art forms, all united by their employment of the human creative impulse, to express and communicate through various art forms. New and additional genres are being added daily. Let us put them all in one box for ease of understanding. This may be contentious to some globally, who have different perceptions of The Arts. The many forms of expression create an adequate or enormous income for many players, but for others, sadly it must just be perceived as a pastime, due to lack of funds or infrastructures. The Arts are dying in many countries, which are not getting sufficient financial support from their governments or other and so it is time to seek other means of exposure and marketing platforms. What do The Arts enable ? Muso’s would do well to embrace all forms of trending technology and other mediums to get their music in all its forms out there. Cast members, producers, playwrights et al can be interviewed and showcased. · Invite reporters or editors to an online Podcast. · These web events can be conducted with the media and shared through relevant websites and e-commerce sites. · Online web interviews enable interviewing all relevant journalists at once, with the promotion of their stories on Movie, TV, Radio, Theatre, Music, Dance, Arts et al. · Podcasts enable you to expose large groups of people at once to interviews with actors, singers, dancers, poets, playwrights, producers, choreographers, directors etc. · Artists across all art forms, can use Podcasts to go global, communicate and showcase their art to the world. · They could even stream a pre-recorded Podcast from their own studio or gallery. · Inviting a well-known art expert as a guest speaker to a Podcast, who in their own rights, will attract numbers to the web event, would be an added bonus. Voice and the spoken word is powerful - hearing is believing. They enable the host and guest/s to be heard in an informal space. They're different, have more impact, are more powerful, personal and effective. They make so much sense - They are a fairly new trend and are a perfect adjunct marketing tool to tell your story and promote yourself, your craft or your organization. Enables you to listen to voice and develop a relationship with that person, engaging them on a level that is simply not possible with a static text. Podcast Recordings remain on the web, so they can usually be listened to at your own leisure. Static text is easy to ignore and at its best, gives readers only the vaguest notion of what you, your group or organization really values. Voice resonates on the subliminal level. Additional creative marketing platforms are constantly being sought in all genres and Podcasts are becoming more and more acceptable in mainstream and other market spaces. They can be used as an adjunct marketing tool on your Social Media and Websites. Old school marketing is no longer effective.